19 and 39 formed the militia units. Some (volunteers?) are older than 39. Edey, and Robert Vortrez should be Robert Norton. underneath it, so I didn't add that to the above 1808 list. I do not have a complete scan of this other page. These papers were found in the Library and Archives of Canada. arise in the use this document is assumed by the recipient. actual images on the internet. Hopefully you know the answer. and hope you can post it. 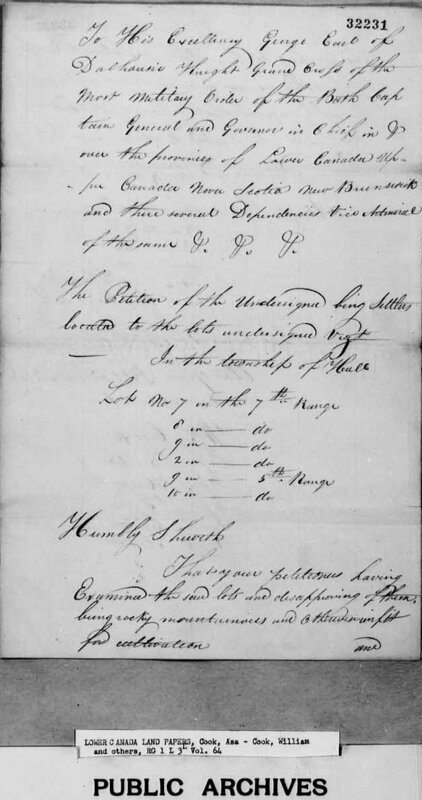 I have attached some archive info on the land petition for a group of settlers that Philomen Wright brought over in 1816. William Cook petitioned for a change of lots since the land was unsuitable for culivation in 1819. The intial lot numbers and the new lot numbers are provided. Page 1 starts the appeal. 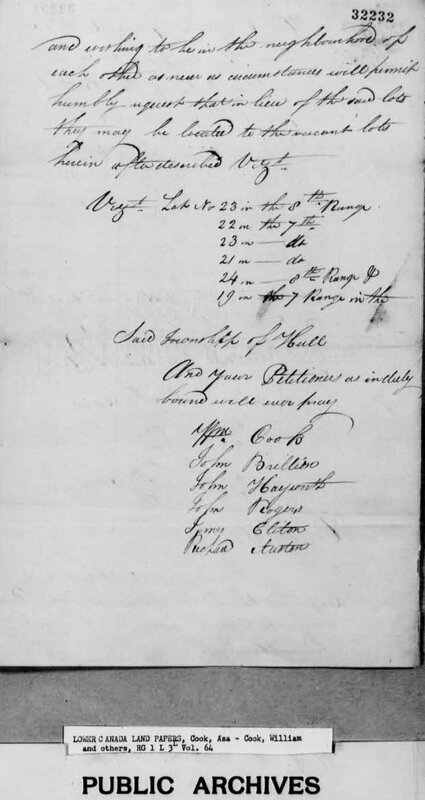 Page 2 shows the Ranges and lots along with the names of the men petitioning. The full petition document is 31 pages. These pages provide a pretty good chronology of petition requirements. 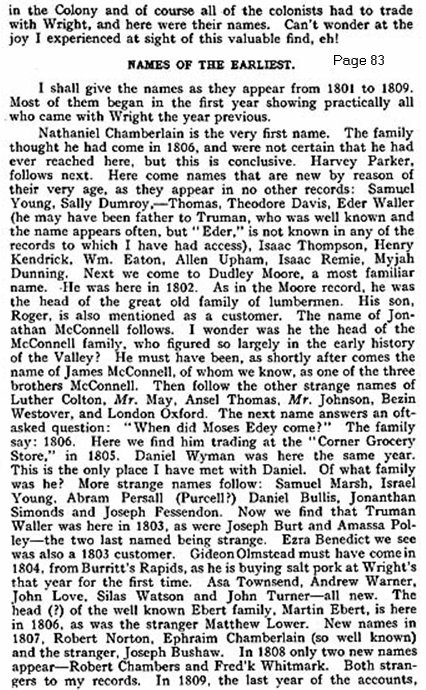 others" in the genealogy section, you will find the complete set. 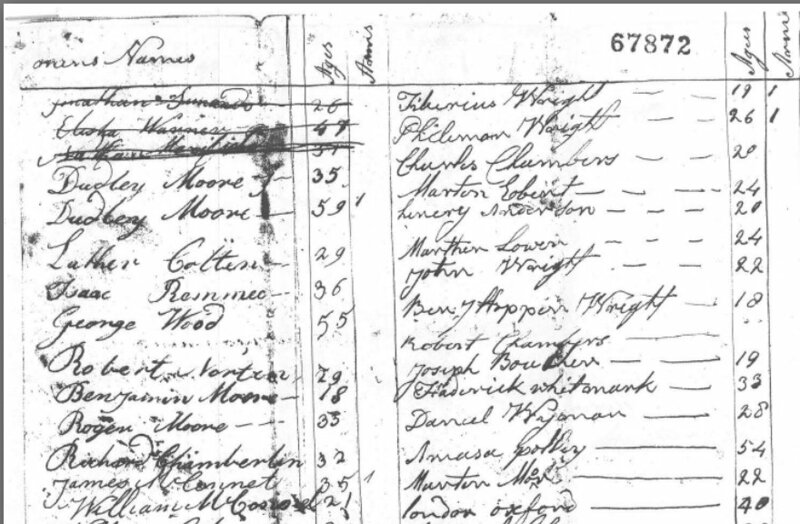 See also the 1813 Hull Militia List.